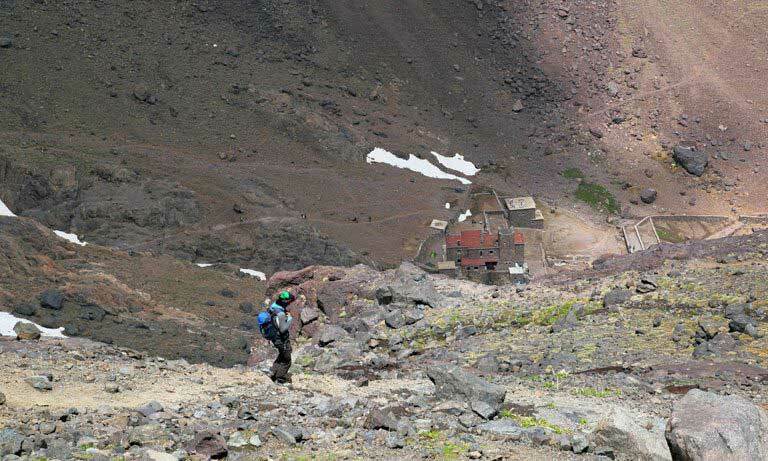 Mount Toubkal climb: The best 3-day Mount Toubkal trek for beginners to reach Morocco and North Africa’s highest peak. Toubkal is, of course, the highest and thus most people’s principle objective, many find that Toubkal affords a more interesting climb. During this trek, you will enjoy the views from the summit across the mountains to Marrakech to the south of Morocco. – Take a beautiful trekking experience amongst Atlas mountain scenery. 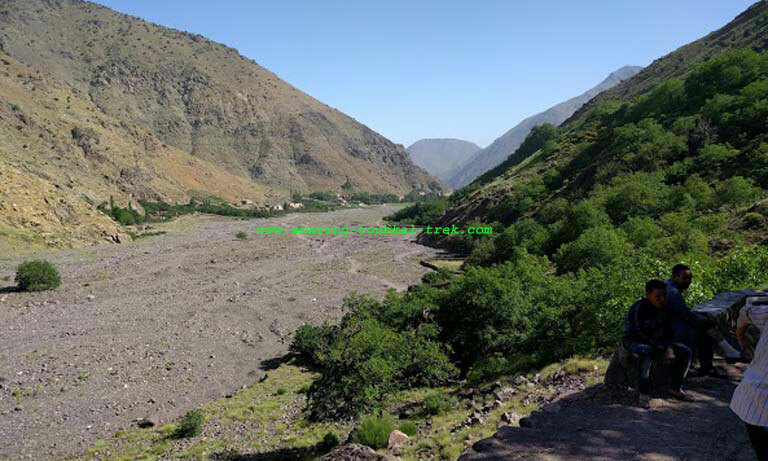 We drive from Marrakech to Imlil which is the starting level of the trek. Trek through the Ait Mizane Valley to Sidi Chamharouch shrine, a pilgrimage site for many Moroccans. From there the trail continues to climb steeply towards the refuge. We spend the night in the shelter or camp. 5 hours trek. We set out early for the summit of Toubkal to avoid any bad weather. Once the peak is reached, we take some time to enjoy fantastic views of the Atlas Mountains and the plains beyond, before the descent back to the Refuge. Overnight in Neltner refuge or camping. 6 h trek. The journey would be set off in the morning. We descend back to Imlil via the shrine of Sidi Chamharouch, following mountain trails. Transfer back to Marrakech. Overnight in a hotel in Marrakech. 5 hours trek. 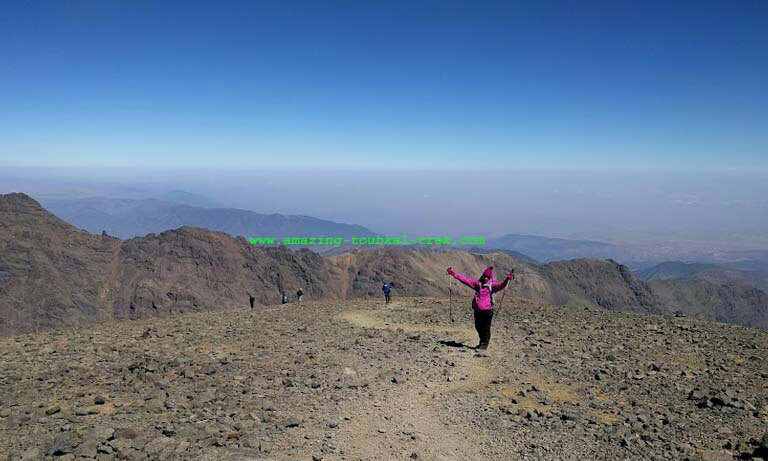 – Mount Toubkal climb is available and can be arranged for groups of all sizes. Mount Toubkal climb lets you scale Morocco’s highest peak without mountaineering expertise. 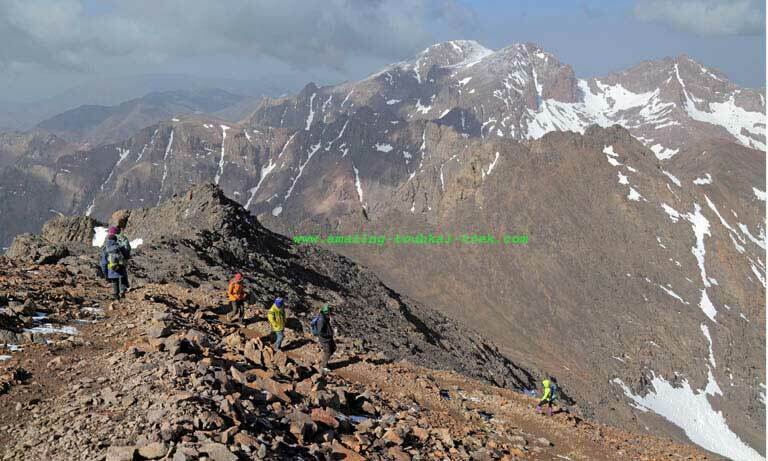 mount Toubkal Climb, Mount Toubkal Trek for Beginners.